Each stage of the customer lifecycle requires a different approach to meet different customer needs and deliver better CX results. On the business side, the marketing and service teams have certain goals and KPIs they need to achieve, while customers/prospects have their own needs, motivations, and differences that must be recognized and addressed. For example, in the consideration or shopping phases for medical services, patients may be motivated by new facilities, success rates in specific clinical areas, or proximity. These variables, which can be discerned through research or an effective customer data strategy, are important inputs that can impact connected experience design. This layer must be created by coordinating across different departments. 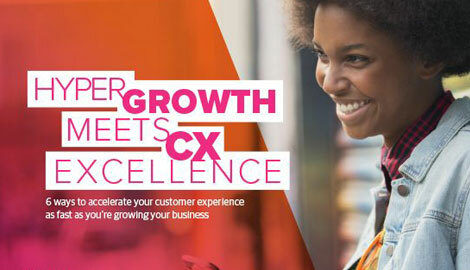 It requires a shared vision of the organization’s top CX priorities, as well as a clear understanding of customer needs, both current and anticipated, which will influence changes to the customer journey map and associated customer processes. Now that we have our marching orders for the various customer stages, informed by customer insights, we can focus on a detailed description of the customer journey. This is the set of channels, messages, communication cadences, inbound and outbound interactions and first-, second-, and third-party data collection. Think of this as drawing a technical diagram of the high-level journey map described in the paragraph above to tell a more actionable story. To get there, think about the how you are “touching,” interacting with, and learning about your prospects and customers. I promise you, no one knows the full scope of the campaigns, one-off promotions, zombie websites, service, and loyalty programs that have accumulated over the years like plaque. Having this information at your command will help identify experience gaps and also flag solid practices for the future. When created, the map charts the experience of consumers as they gain awareness and eventually make a first purchase, to their experience as a customer, through to service, up-sell, retention, and loyalty. This can be a complex exercise, requiring technology, marketing, data, analytics, channel execution, and measurement expertise. While this may sound daunting, the CX journey mapping exercise can be very effective and even fun when done in a collaborative fashion with your wider team of subject matter experts. Some maps feature high-level vignettes with lots of graphics to convey the new segment treatments. Others get more precise icons and flows depicting levels of data and experience integration across channels and departments. Even the prettiest customer journey map won’t hold up without a solid grounding in the technology and data you have today, or are planning to onboard in the near future. Here we define the basic building blocks of the customer profile—data from lead sources, digital “event stream” data to gauge preferences, second- and third-party sources to augment the profile, first-party data captured during the course of sales, service, or digital interactions, and other sources that will help us to continually tailor our interactions with individuals. How do you identify your prospects and customers? What first-, second- and third-party data do you have to work with? Where does it live? How is it used? Data is the lifeblood of CX, and the company with the best data will win in the end. Tracking these answers down will greatly speed up the journey mapping process and result in more actionable customer treatments. It will also lay the groundwork for another essential CX component. On the technology side, existing platforms should be specified and technology gaps should be addressed. For example, if audience management is an important element of the journey, the DMP and the proper orchestration and execution platforms should be flagged. Each of these domains are critical to inputs into customer journey strategy and eventual execution. The customer needs outlines the “marching orders” to the team for a target segment at each funnel stage. The customer experience narrative layer provides the new omnichannel and integrated communication stream, or the specific ways we will treat this customer over time. Finally, the customer data layer provides the data insights and technology dependencies that will make these experiences real.